Need some ideas to help kids kids make an easy transition to a new home before school starts? 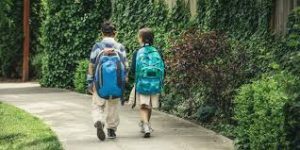 Tips to help kids adjust to a new school. More question please give me a call.